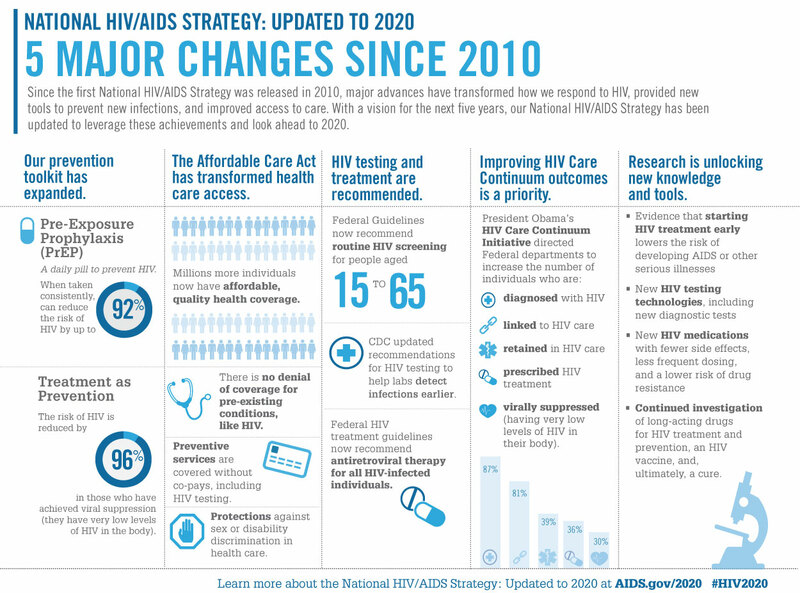 The US Government just released the following infographic which looks at the top 5 changes concerning HIV/AIDS, since 2010. What are your thoughts about the infographic? Are there other items you would like to see addressed?